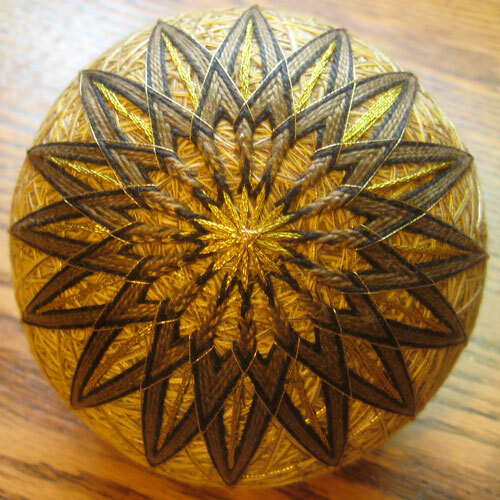 The "Emperor" pattern from Barbara Suess' Japanese Temari book. 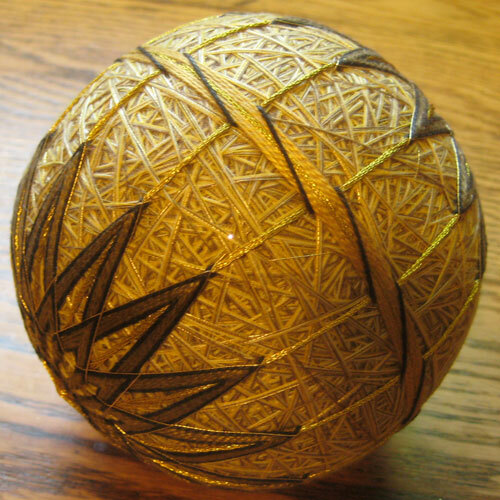 This is the first temari I made using a 16-division and they needed to be pretty precise so the pattern wouldn't look lopsided. 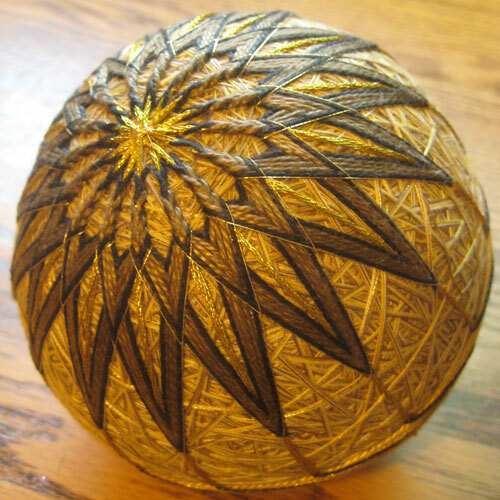 It's also the largest temari I've made to date, about 4" across, which actually made it hard to grip while embroidering. Completed September 2009 for Robyn.